A good cape buffalo is an old cape buffalo. If the horns are a hand-width wider than the ears, you can safely assume that the bull you are looking at is above 40" and you should start shooting. Two well-known trophy recording systems exist for scoring Cape buffalo: SCI; and Rowland Ward with the SCI system being the most popular. When scoring cape buffalo, keep one thing in mind: A good buff is an old buff. An old bull is fairly easy to field judge. You just need to look at the boss and a few other factors. First, look for a well developed hard boss, as this will determine that the bull is mature. Next, look at the spread. A bulls ears usually have a 34″-36″ spread. 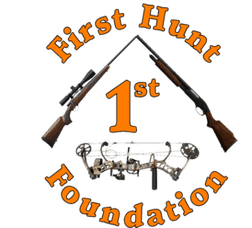 If the horns are a hand-width wider than the ears, you can safely assume that the bull you are looking at is above 40″ and you should start shooting. Measure the length along the outside of the horn curl, from tip to tip, plus the straight-line width measurement of both bosses for a combined total score in inches. 100 inches is the minimum measurement needed to qualify for record book entry. This system is much different because it only measures the greatest outside spread. 42 inches in the current requirement for record book entry.